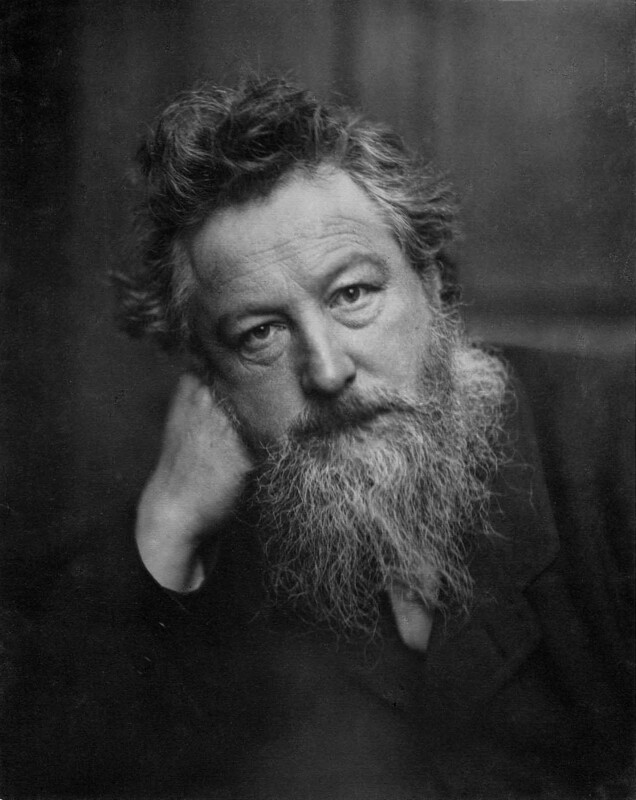 William Morris, the influential nineteenth century British designer, artist, writer, craftsman and political activist, generated ideas in regard to the connection between labor and the production of art. I recently read Morris’ book on socialism, Signs of Change. Morris looked on socialism in an entirely different way than what is regarded as state socialism, which he found flawed. Morris’ socialism really sprung from his inherent belief that if man had his basic needs satisfied and did not depend on his labor going to sheer sustenance, that every individual would find a certain labor that they loved and enjoyed doing for its own sake. This love of a certain labor, whether it be physical like farming, construction etc. or whether it be of a more mental type say research, science , mathematics etc., would come naturally. And over time this particular craft or mental activity would reach a point where it would become less “labor” and more art. That man would inherently wish to do his best and the craft would take on a certain refinement because the laborer would truly enjoy his activity and would spend the necessary time to produce something beautiful and admirable. Doesn’t one find that if one is working on a project and one is not hampered by money or time, that one wishes to do it well. When we renovate our homes, aren’t we pleased when something comes out right and is beautiful to look at, something that will enhance our experience of family life? Morris feels that this internal sense of well-being that we get from such activity is an inherent characteristic of all men and women. Man feels whole and united to the world around him and life becomes more of a pleasure. One is able to balance labor and rest when he is in such a state. From rest, one generates ideas, becomes inspired and willingly experiments with intuitive insights. Dreams and unconscious material is allowed to have its moment and interplay with one’s art because now one has time and real freedom to be engaged as one ought to be. One may say that this is sheer Utopia and I would have to agree. But Morris is not deceived either. 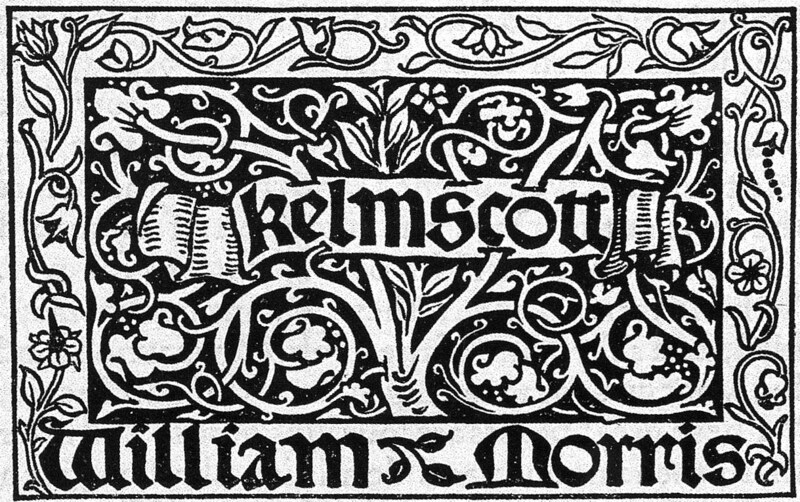 His book, News from Nowhere is a vision of this idea and in this text, Morris refers to his beliefs as utopian. But, he also states that one must have hope and a vision in order for change, any kind of change, though it be imperfect, to take place. He really writes it because he knows there is so much potential that is lost in man, that is thwarted by poverty, oppressive labor practices and sheer lack of an alternative approach to labor and art for that matter. Would not art be more profound and meaningful if there was no economic value or market for it that in many ways dictates what one will create? If all art was generated out of love, would not this have a direct benefit on society as a whole? Could we not see ourselves for who we truly are? This self expression could have a transformative effect because we could willingly look in the mirror and see the state of ourselves and the world. Why not? Yes, why not try something like this. There is a portrait of Morris on the “Printer’s Tunnel” which is the ground floor entrance to the Los Angeles Public Library, on the Hope Street entrance. The bas-relief, sculpted by Lee Lawrie, who went on to sculpt the Atlas at Rockefeller Center, depicts a series of the giants of printing, including Gutenberg, Aldus, Elzevir, Caxton, Morris and Bertram Grovenor Goodhue. It dates to 1926 and is done in an Art Deco style. Thank you for the information. I have not seen this depiction of Morris but am obviously curious. So few people know how influential Morris was in his lifetime.